Led by Phytology Medical Herbalist Molly Maitland. An introduction to tincture making and how to make medicines for internal use at home. Explore the Phytology meadow and make your own tailor made medicinal tinctures to take home. 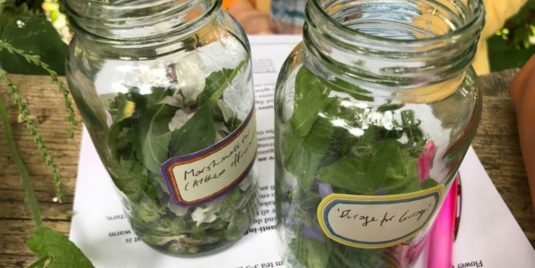 Phytology’s summer workshops offer an introduction to the native plants growing in the medicinal meadow alongside practical information about how to use these herbs safely and effectively in the home for many different ailments. Please join us from 1pm – 2pm for a shared Phytology lunch – please bring along food to share. Spaces are limited, so book early to avoid disappointment.